No dinner is complete without a glass of wine. Wine is a classic drink served on many occasion in the US. The wine has multiple health benefits, especially red wine. Even doctors cannot deny the fact that moderate drinking of wine is beneficial to human health. Red wine is considered to have many health benefits than any other type of alcohol. Utilizing the health benefits of wine is an age-old custom in most parts of the world. When consumed in a moderate measure, red wine can be considered as a super drink that provides powerful antioxidants. These antioxidants are capable in the process of healing the damaged body cells. Hence there are numerous benefits of red wine when you consume it in moderation. Boosts Heart Health: Red wine has cardioprotective properties because of polyphenols, resveratrol, and quercetin present in it. The antioxidant nutrients present in red wine can slow down the progression of atherosclerosis. One of the beneficial roles of resveratrol is to protect the heart cells from tissue damage after a stroke. It supports platelet growth in body and decreases cholesterol growth. Flavonoids present in red wine named as Quercetin improves heart health by regulating blood pressure levels. It reduces inflammation and preventing stress. Slows down the Aging: You might have heard many actresses and models giving credits to wine for their youthful looking body. Well, it is completely true. There are many studies proving that the Resveratrol present in red wine affects the genes to live longer. Resveratrol activates a protein that acts as an anti-aging agent and promotes the longevity. 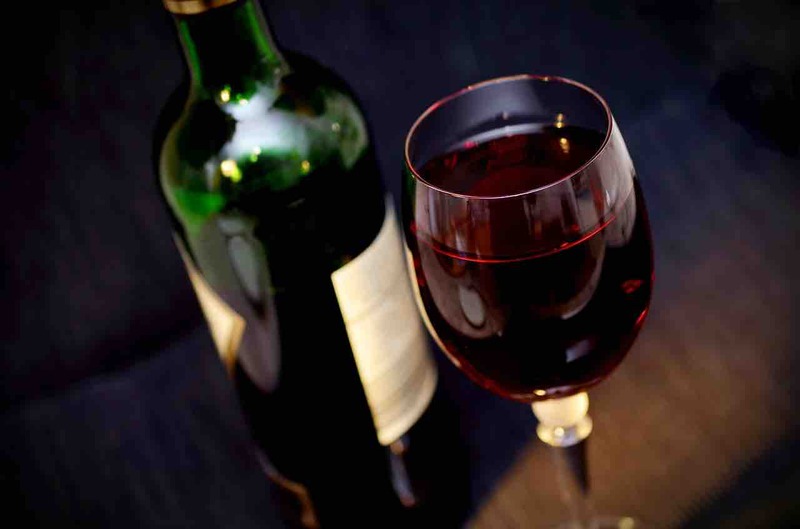 Prevents cancer: Red wine might be a better option, compared with other beverages when you want to stay away from Cancer. Drinking a glass of wine reduces the risk of colon cancer, prostate cancer, and breast cancer. In fact, eating red grapes is more healthful than drinking red wine. moderate amounts of red wine reduce the chance of prostate cancer by 50 % in men. Helps Manage Diabetes: Wine is helpful for patients with type 2 diabetes. Resveratrol controls insulin levels and allows a patient to enjoy their glass of wine. Red wine may slow down the glucose entrance into the bloodstream which helps in preventing the blood sugar levels. Wine can inhibit the activity of an enzyme that is responsible for increasing the glucose absorption. Fights Obesity and Weight Gain: A compound found in grapes called piceatannol help to fight obesity. It has the property to block the growth of the immature fat cell. This compound is highly effective at fighting obesity and weight gain due to its ability to destroy fat cells early in the process of cell development. Hence it prevents fat cell accumulation and body mass gain. Piceatannol binds the insulin receptors found in fat cells and blocks the insulin’s ability to control cell cycles. Above are the 5 most important benefits of Red wine. All these benefits can be enjoyed only if you drink wine in a moderate amount. So go and grab a nice bottle of wine to celebrate a healthy life. You can find mouth-watering deals on couponobox.com to buy your favorite bottle of wine. Enjoy your life at its best and stay healthy.